Amazingly good value esp. if you are new to HL2. Great sound and voice acting, great music too. Runs on fairly modest PC hardware. Long-time fans get little recompense for HL2/E1. Team Fortress 2 is basically trial-by-fire. You will lose a lot of sleep playing all of these. It will probably be 2010 before Episode 3 hits. Great value for FPS fans and some real innovation. Valve had a mega-hit on their hands after the much delayed but amazing FPS Half-Life 2, so what else were they to do when fans clamored for more? Of course, an expansion pack, Half-Life 2: Aftermath was soon announced. A year went by, and still no expansion, but then Valve shocks the gaming community by announcing that Aftermath would instead become the first of a series of episodic mini-packs for Half-Life 2. Half-Life 2: Episode One was just to be first of several expansions which would continue the story of or beloved hero Gordon Freeman. Fan reaction was decidedly mixed, but when E1 finally shipped in June 2006 the most common complaint was that it was only 4-6 hours long. But Valve had announced that Episode 2 would be coming soon afterward, in the fall. Months passed, and as fall approached Valve postponed E2's launch. Fans and critics began to question whether or not Valve was serious about its "episodic gaming" initiative. 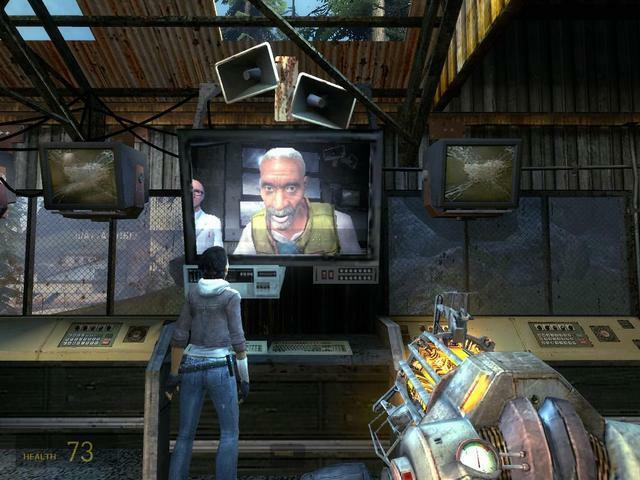 Then it was announced that another episodic game on a similar time-table to the HL2 episodes, the SiN Episodes, was going to be stopped after a single episode had been released. 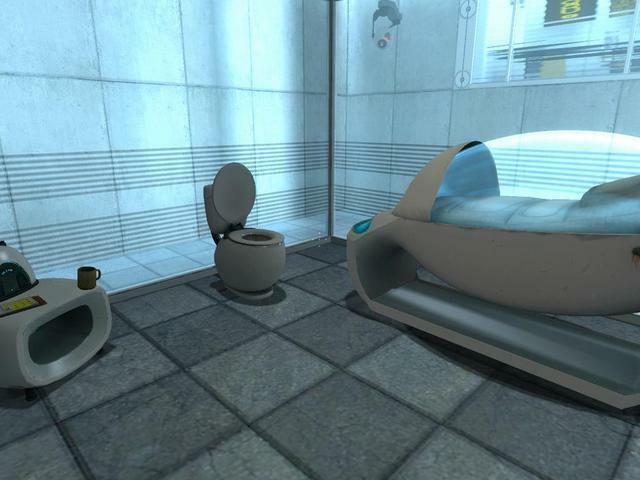 People began to doubt that episodic gaming would ever really become a reality. And Valve then decided to change how HL2E2 would be released, by making it part of a bigger expansion. A full sixteen months after Episode 1, Valve finally releases Episode 2 as part of a mega-bundle which they called "Orange Box". Was it too little too late? Not on your life. Half-Life 2: Orange Box combines several new additions to the Half-Life 2 family of games. Each new component is completely separate, and in fact can be individually purchased via Valve's Steam service for the PC if you choose, but the combined Orange Box package is a much better value in price. For one low price you get Half-Life 2: Episode 2, Team Fortress 2, and Portal, as well as Half-Life 2 and Episode 1 in case you didn't already have those. If you are not one of the five people on the planet who didn't already own HL2 and HL2E1, Valve gives you a "gift code" in your Steam account for those two games so that you can give away your duplicate Orange Box copies of them to a friend. Of course, since all your friends already have those games too (or will soon thanks to Orange Box), basically you get nothing extra for having dutifully supported Valve loyally for years. You'll pay the same price as the n00bs who just picked the whole series up at an extreme discount. But, I'm not bitter. Next I will briefly cover each of the components of the massive Orange Box. 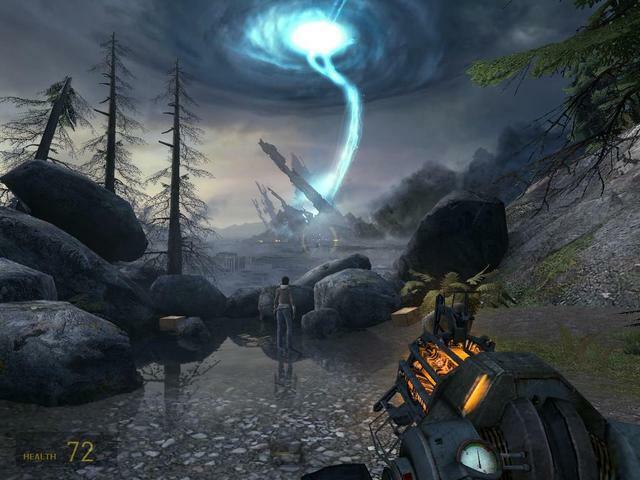 First, if you never played Half-Life 2, you get this still-amazing single-player FPS phenomenon. This game has been well reviewed before so I will just say, it's a classic must-play game that everyone who plays FPS games will enjoy unless they are idiots. You also get the first expansion pack, HL2E1, which adds some new gameplay elements and expands the story of what happened to Gordon Freeman and City 17 after the ending of HL2. The hot tom-boy science chick Alyx is back and better than ever in this one, with better graphics, and a better robot Dog. 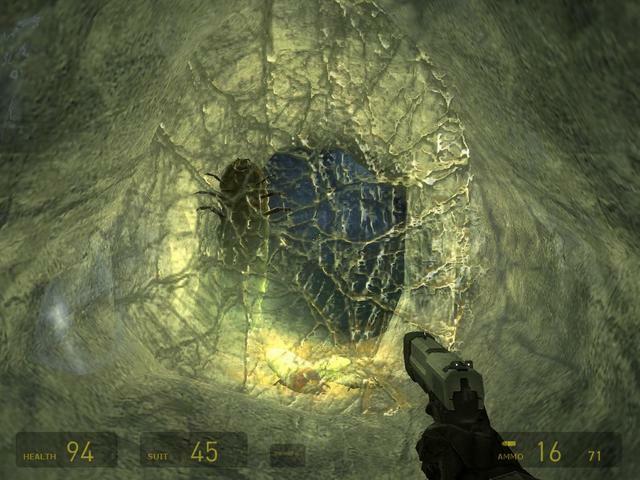 Half-Life 2: Episode 2 pretty much picks up right where Episode 1 ends. You're away from City 17 now, out in the countryside, but the forces of the Combine are still on your tail so you're really not out of the woods yet. Episode 2 has more wide open areas with less strictly linear progression, especially at the finale which is one of the most amazing segments in FPS history. For that segment alone, HL2E2 is a must-play expansion. This episode introduces a couple of new enemy types and a lot more puzzle solving using the excellent Source engine's physics. Since this is the second episode, the difficulty of it is somewhat ramped up as they expect players to have played HL2 and E1 already. That's a good assumption since they include those games with the Orange Box, and frankly you'd have to be an idiot to pick up the series starting here, you should by all means start from the beginning of HL2, if not all the way back to the original Half-Life. 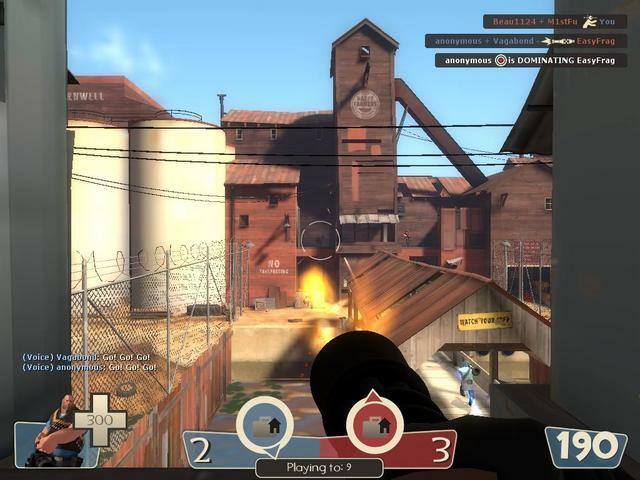 Team Fortress 2 is the multi-player only addition to Orange Box. This is a completely revamped version of Team Fortress Classic, which was originally a mod for Quake that Valve had gotten the developers from and brought them in to do a version of it as a kind of expansion for the original Half-Life. Like its predecessor, Team Fortress 2 is a team-based multi-player game where each player takes on a specific role that defines his abilities. For example, you have the rocket-launcher wielding Soldiers, the sniper-rifle brandishing Snipers, the health-dispensing Medics, etc. TF2 has more classes than the previous game such as the new Spy which can infiltrate the enemy base by taking on their appearance, and the expanded Engineer who can build all kinds of defenses now. The graphics have been given a complete overhaul as well and now the game looks like some kind of Loony Tunes from Hell or something, with cartoonish cell-shaded characters and environments but also over-the-top blood and gore. It looks great and plays great and is frankly one of the most disgustingly hilarious and fun games on the Internet today. My only complaint about this game is that it didn't ship with enough maps. 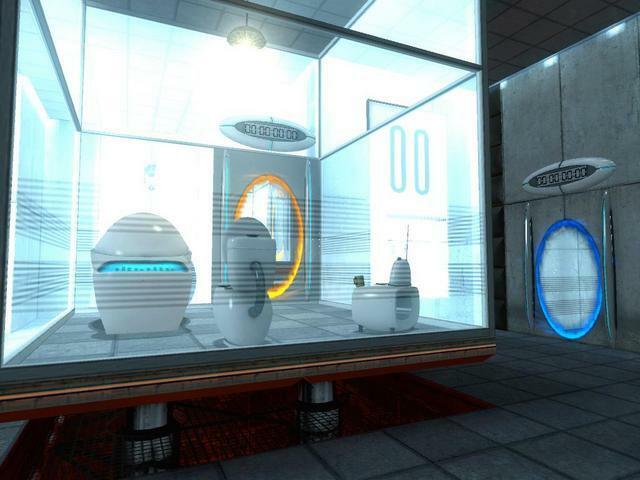 Saving the best for last, PORTAL is without a doubt the coolest addition to Orange Box. It's very short, probably only 3-6 hours to finish it depending on how quickly you can solve the puzzles. But it has a lot of replay value and some extended extremely challenging bonus puzzles once you beat it once. Basically the game starts you off in a small room and you must listen to the voice of the computer and perform various tests which are puzzles. Your only tool for this is a special kind of gun that can create portals in the walls through which you can walk. For example, you could shoot a portal in a nearby wall and another one with the opposite color in a far wall and walk right through the portal to get to the other side of the room without traversing the room. Obviously, it gets more complex than that, as you might can imagine. There are 19 test rooms to defeat. The more you play the more you come to realize that things are not quite what they seem. I can not say much more without giving away spoilers, but suffice it to say that this game misleads you into thinking it's shorter than it is, and has one of the best endings of any game I've ever played. The humor in this game is deliciously twisted and really adds greatly to some amazing game play. 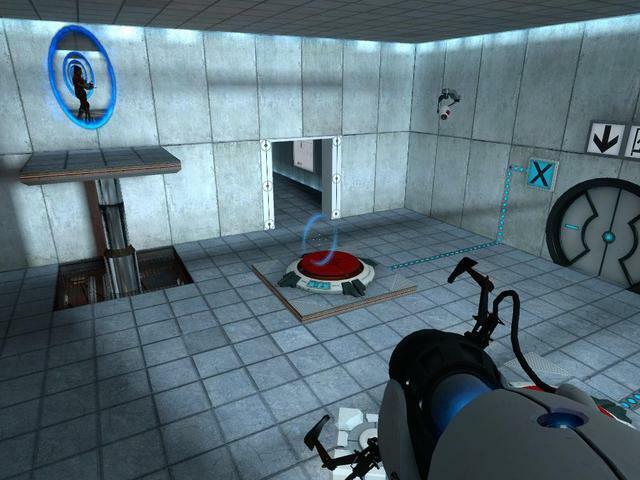 Portal by itself would easily have been worth the price of Orange Box alone, it is a 10/10 game by itself. If you play no other part of Orange Box, you owe it to yourself to give this a try. Be not quick to judge it as I was, the early part of the game is very easy and it feels like you could blow through this game in nothing flat, but things are not that simple. The cake is a lie. So there you have it, folks. Three amazing new additions to the Half-Life 2 series, for a bargain price, with the original HL2 and E1 thrown in just in case you missed them the first time around. Gaming really doesn't get much better than this, and the only people who should not play this game are people who do not like first person shooters at all, or people who get physically sick from them. For everyone else, this is a no-brainer. Plus it's also on the Xbox 360 and the Playstation 3! Go play it!